AUTHOR Q&A: The brand-building expert on why small data clues can help predict big trends. How can looking at the little picture help to predict the next big trend? Here's an example. Some years ago, LEGO decided their falling sales were due to today's kids lacking patience. Their solution was to start selling enormous blocks so kids could build the same castle in no time at all. The result? Sales plummeted. Then we met a German boy who had devoted literally thousands of hours to perfecting his skateboarding skills. Our small data conclusion? Kids are still willing to spend hours on a project, as long as they have ownership of it. LEGO returned to its traditional tiny blocks, packaged many more blocks in every box, and watched its sales skyrocket. Is it time to ditch big data and extensive (and expensive) market research campaigns? If we want to glean the profound, multifaceted insights that lead to genuine success, big data and small data must be partners in the dance. Big data is about seeking correlations, and small data is about causation. One without the other will always provide an incomplete picture. What can we do to help us spot these small data clues? We need to walk in our customers' shoes. We need to watch, listen, and trust our instincts. I'm reminded of Italian chocolatier Michele Ferrero, who would crawl on all fours through a store in order to share the experience of the children who were his customers. In my visits to consumers' homes - more than 2,000 homes in 77 countries - I've learned to recognise clues that have resulted in successful new products and saved companies from the brink. Does relying on small data create the danger of using anecdotes to support what you already believe, rather than relying on broader evidence? Effective branding is always a combination of art and science. Small data can provide clues as to causation, which help us to develop hypotheses. Then, it’s essential to rely on big data to prove or disprove our hypotheses. The more small data points you identify, the more important it becomes to use big data to analyse, explore, and test them. 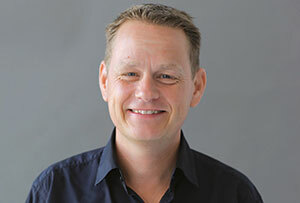 Martin Lindstrom is a brand building expert – advising Fortune 100 brands from the Coca-Cola Company to Red Bull on how to build future-proof brands.